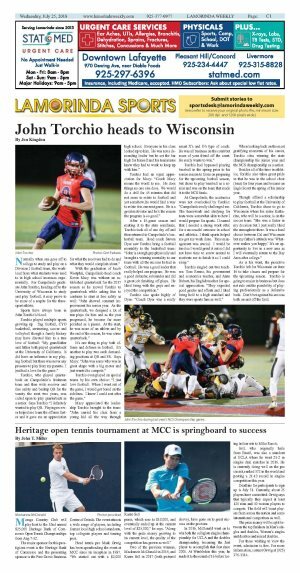 Moraga Country Club will play host to the 32nd annual $25,000 Heritage Bank of Commerce Open Tennis Championships from Aug 7-12. The major sponsor for this prestigious event is the Heritage Bank of Commerce and the presenting sponsor is the Pine Grove Business Center of Orinda. The event attracts a wide range of players, including former local high school standouts, top collegiate players and touring pros. Head tennis pro Mark Orwig has been spearheading the event at MCC since its inception in 1987. "We started out with a $2,000 purse, which rose to $10,000, and eventually ended up at the current level of $25,000," he says. "Along with the prize money growing to its current level, the quality of the competition has grown as well." 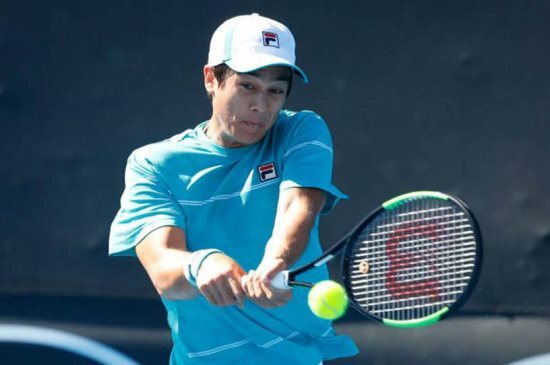 Two of the previous winners, Mackenzie McDonald in 2015, and Karue Sell in 2017 (both pictured above), have gone on to great success on the pro tour. 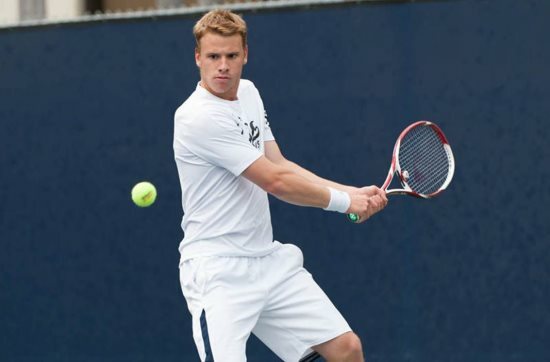 In 2016, McDonald went on to win both the collegiate singles championship for UCLA and the doubles championship, becoming the first player to accomplish that feat since 2001. At Wimbledon this year, he made it to the round of 16 before losing in four sets to Milos Raocic. Sell, who originally hails from Brazil, was also a standout at UCLA where he went 21-2 in singles dual matches in 2016. He is currently doing well on the pro circuit, ranked 372 in the world and posting a 21-10 record in singles competition this year. Deadline for participants to sign up is July 31. Currently, about 25 players have committed. Orwig says that typically they expect at least 120 men and 40 women players to compete. The field will boast players from across the nation and some international competitors as well. The prize money will be split between the top finishers in Men's singles and doubles, Women's singles and doubles and mixed doubles. For those wishing to view the event, admission is free. For more information, contact Orwig at (925) 376-1314.